This reminds me of my second child's baby book looks like. Slackin' Kenny! HAHAHAHAHAHA!!! Am I the only one who thinks this is totally funny? 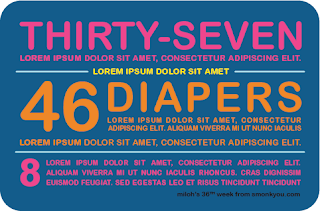 I have a baby, and I blog, or used to before I had the baby, and I love your week in numbers graphics so much I went on a hunt to find it again after seeing it this summer on ohdeedoh. 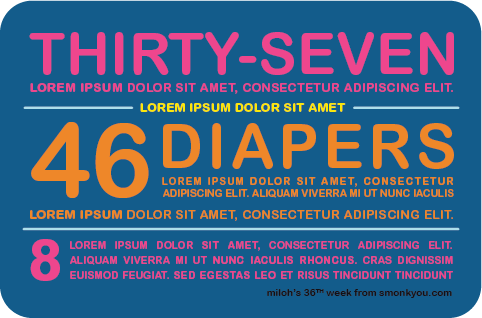 If I attempted to do this every week, I would TOTALLY use placeholder text. I'd be too tired to do anything else.